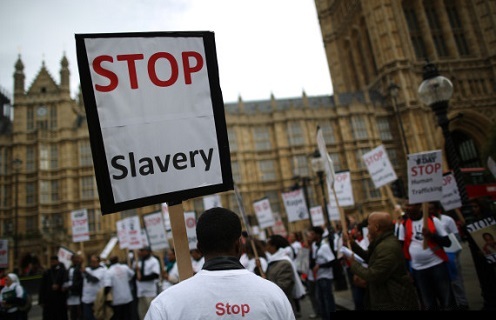 The question that many supporters of anti-trafficking movements may be asking – Does the new Modern Slavery Act (2015) go far enough to ensure that corporates maintain a transparent supply chain? Regulations under the Act – expected to be implemented in October 2015 – will require those with turnover above a yet-to-be-determined threshold to produce an annual statement for each financial year, under the so-called ‘Transparency in supply chain provisions‘. Current reports suggest that a turnover threshold of around £36-40 million is likely. It looks likely that organisations with turnover over this threshold will have to produce their first statement by the end of the current financial year. The Government has indicated it will publish compliance guidance in the next few months. Section 54 of the Act will require every large business to publish an annual statement setting out the steps the business has taken during the year to ensure that slavery and human trafficking are not taking place in the business itself, or in its supply chain. The statement must be published on the business’s website. The obligation to publish a statement applies to businesses which carry on any part of their business in the UK and which “supply goods or services” (essentially, all trading companies and partnerships). The statement must be approved by the board of directors and signed by a director (in the case of companies), approved by the LLP members and signed by a designated member (in the case of LLPs), and signed by a general partner (in the case of limited partnerships). Overseas conduct will be included, and will be deemed as if the offence had taken place in the UK. declare that you have taken no steps to confirm the existence of slavery or trafficking. This approach may place a company’s ethical position into question and affect its reputation, so it is expected many companies would prefer not to take this option. relevant key performance indicators which would allow a reader to assess the effectiveness of the activity described in the statement. The Act itself imposes no legally binding requirements to conduct due diligence on supply chains. And there is some flexibility regarding the content of the statement, as companies may find it difficult to compile all the relevant information. The Government has framed Section 54 in such a way as to leave it open to businesses themselves to determine how best to comply with its requirements, and how far they should go in identifying where any risks may lie – and how to tackle them. The Government has also made it clear that it expects each business to take an appropriate and proportionate approach, based on the nature of its business and the industry sector. Companies should assess whether they are caught by these requirements. For some this will be straightforward, while others will need to decide on an entity-by-entity basis once the turnover threshold is published. Even if your turnover is lower than the threshold, it may be good for a company reputation to follow some of the guidance and recommended procedures to build customer confidence. review your supplier due diligence processes to incorporate procedures that identify modern slavery and trafficking risks. At this time, it seems that any process that seeks to address trafficking and forced labour issues are to be welcomed. However there are no criminal or financial penalties for non-compliance, and that is an area that could be reconsidered. In order to ensure that companies comply with the Act and comply properly and ethically, there should be some element of financial penalty. Notwithstanding the lack of penalty, any company that is deemed not to be adhering to the Act may suffer detriment from a reputation perspective, and this in itself may be enough of an incentive for both companies that fall within the threshold, and those that don’t, to comply with Section 54 properly. This entry was posted in UK Law and tagged modern slavery act. Bookmark the permalink. Next Post: Is Your Business Ready for the new Consumer Rights Act?